Greetings from Metalheads Forever Magazine, I’m Keith the Editor In Chief, How are you boys doing? Hey Keith, Good to hear from you and MFM. We are doing pretty well how are you? Tell us about Eternal returns, how you guys got together? We have been around for 7 + years as a garage band, jamming at a friend’s apartment and in jam rooms trying to perfect our craft. It’s only in the past 3 years we solidified on focusing on playing live and performed in front of a crowd. Fast forward, almost 50 performances down we are keen to tour the country. We got together by help of common friends and the bands lineup has been pretty solid every since. 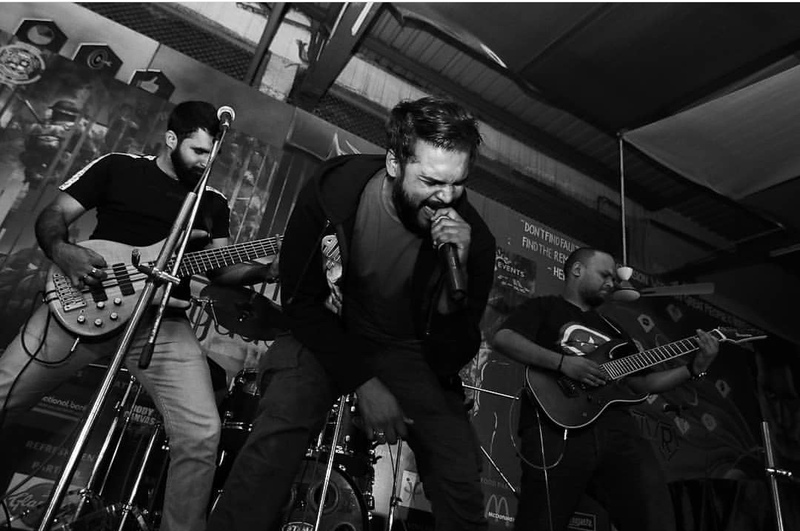 How is the metal scene in Mumbai, India, How recognized are you in your home city? It’s growing and eventually will grow further. Rest is all part and parcel of the game. We have a small and dedicated fan base that turn up regularly for the shows. What are the influential bands for you guys and what made you the passion to start the band? Like any other individual / band that have been part of the community knows it starts with the love of Metal. For us, it was the same. We are 4 individuals who were focused on creating some heavy music and a lot of dedication has gone to make this work. Can you tell us what Eternal Returns really mean when you named it? Eternal Returns is a concept of Indian Philosophy which believes the universe is reoccurring and it will continue to do so. Our lyrical concepts have revolved around the same beliefs. Ouroboros, Eternal Knot, Karma sights the same beliefs. That was the thought process while naming it. However we write about everything that influences or ignites us to take a stand. I know you guys have played in different festivals around the country, how does it feel for you guys to perform in front of the growing fanbase? What would you like to tell the whole world through MHF magazine? 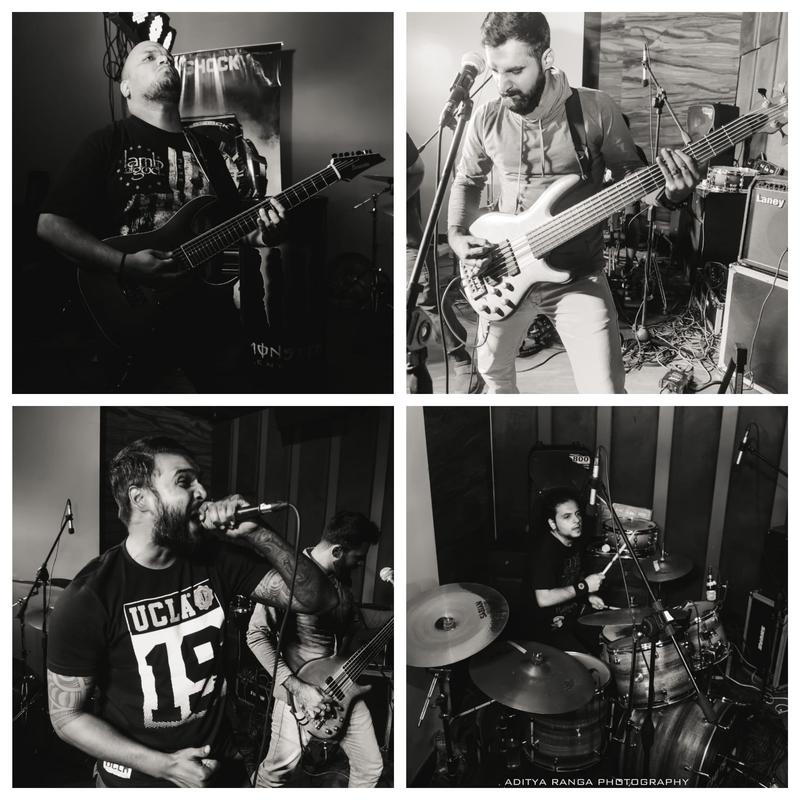 From a band stand point: Watch out, a lot of heavy music is coming your way. Also Indian Metal if filled with talent. There are too many bands to be explored. Give it a try you won’t be disappointed. Thanks a lot for your time. It was a pleasure. Speak to you soon. 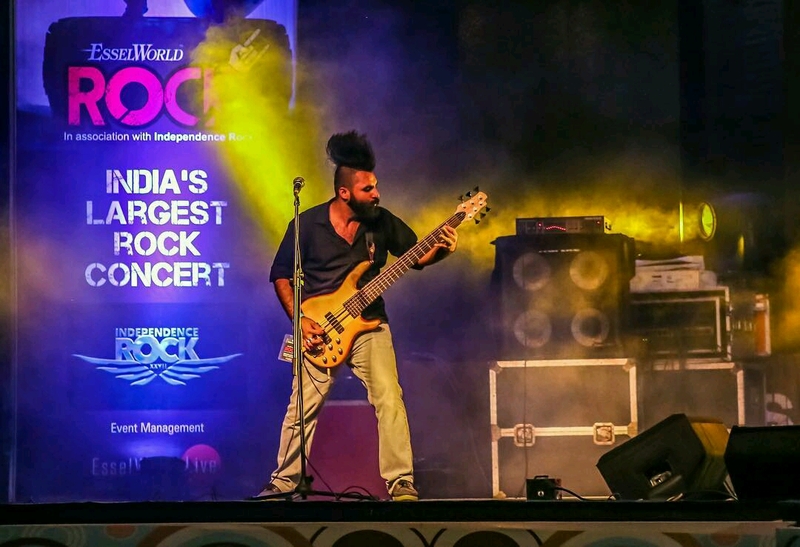 The gig was in fact a competition to make a place in the Bangalore Open Air event which was scheduled 9th of feb! And all the participating bands gave their best. 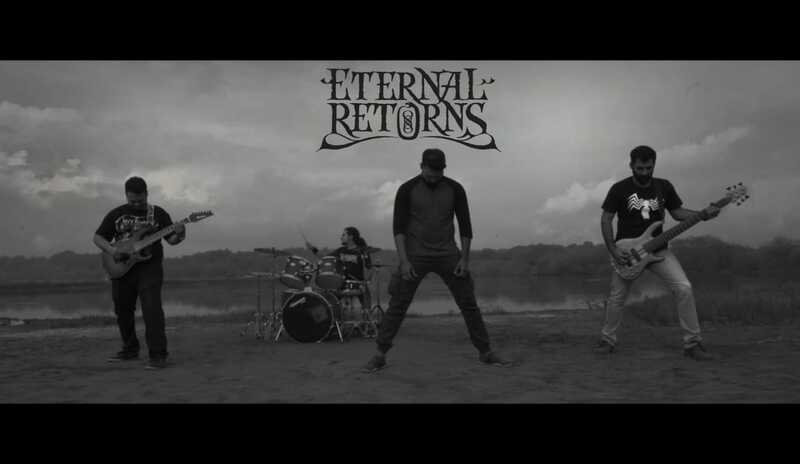 But the band Eternal returns caught my attention, their tracks simply resonated with me, plus their energy was exceptional which caught the attention of the crowd and compelled them to there riffs. Though they didn’t make through the competition, but there talent was legit recognised, a girl next two me said this band has the talent to go far…. And I completely agreed. It was like the “Battle lost, but won the hearts” they did not go empty handed!! Band members are not only talented but also warm and grounded in nature. It was overall a good experience.